PST2774 oxalate, also known as Istaroxime oxalate, is a Na-K ATPase inhibitor. PST2286, also known as 17-Hydroxydigitoxigenin, is a rostafuroxin metabolite. AHAS inhibitor is a novel acetohydroxyacid synthase(AHAS) inhibitor, a promising drug target against Mycobacterium tuberculosis (MTB). Chlorpropamide is a sulfonylurea class drug for type 2 diabetes mellitus. 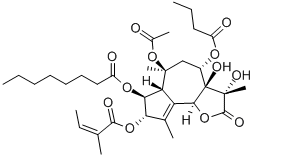 Ciclopirox is a broad spectrum antimycotic agent with some antibacterial activity. Ochratoxin A (OTA) is a mycotoxin produced by several fungal species including Aspergillus ochraceus, A. carbonarius, A. niger, and Penicillium verrucosum. 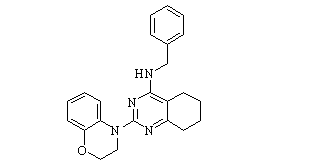 Thapsigargin is a non-competitive inhibitor of the sarco/endoplasmic reticulum Ca2+ ATPase (SERCA). ML241 is a potent and selective inhibitors of p97 ATPase. TAK-438 is a novel P-CAB (potassium-competitive acid blocker) that reversibly inhibits H+/K+, ATPase with IC50 of 19 nM (pH 6.5), controls gastric acid secretion.